I was trying to think of a name for my blog I tried a few My hartyboys and 2 little girls, Ebonee & Maddy and others but it didn't seem right and then today I was folding the socks when I started grumbling about socks without pairs. That was my light bulb moment why not call my blog "socks without pairs" as this seems to be a very common refrain through out my day. 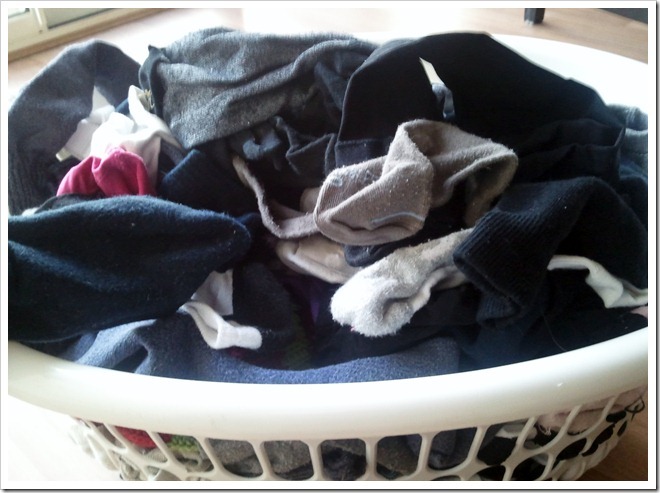 It's starts in the morning with the boys complaining that they can find any pairs of socks in the wash basket and then it goes on to me complaining because I only get half a pair of sock in the wash etc etc. So hence the name.